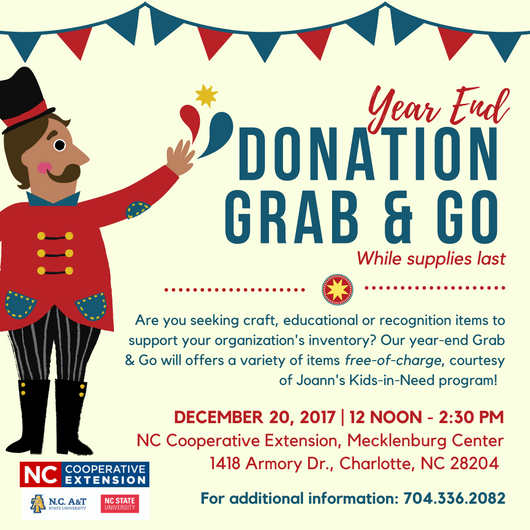 Year End Donation Grab & Go! Please visit our office to take advantage of great, FREE donations to be used for a variety of causes. We look forward to seeing you at our first grab and go event!